Magnificent villa located in the mountains of the New Golden Mile on the slope of a hill, in a wonderful urbanization offering a beautiful golf course, clubhouse with spa facilities, own fire brigade and security. 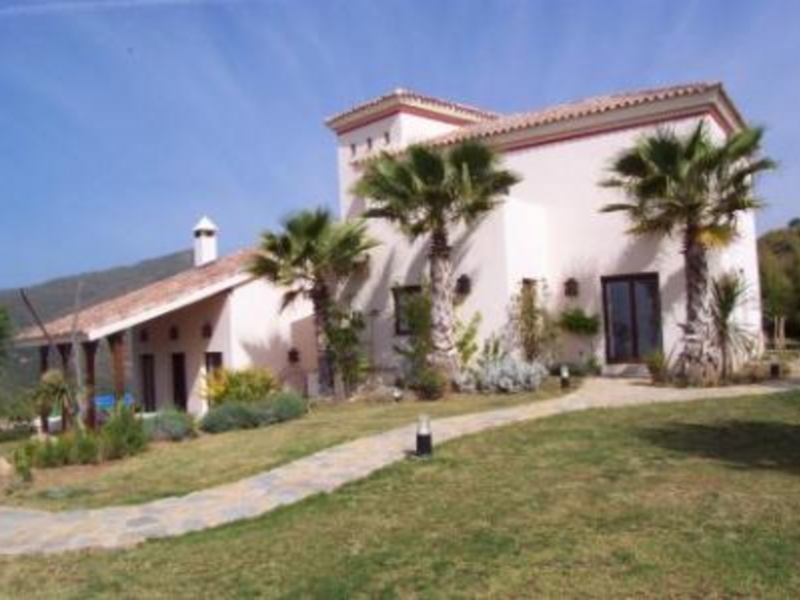 The property is situated in a privileged position offering 180º views over the mountains reaching all the way to the Mediterranean and the Atlas Mountains of Africa. Built in 2002 to fine quality standards the villa is built mainly on 2 levels and features a beautiful garden with different levels surrounding the property and a large swimming pool. 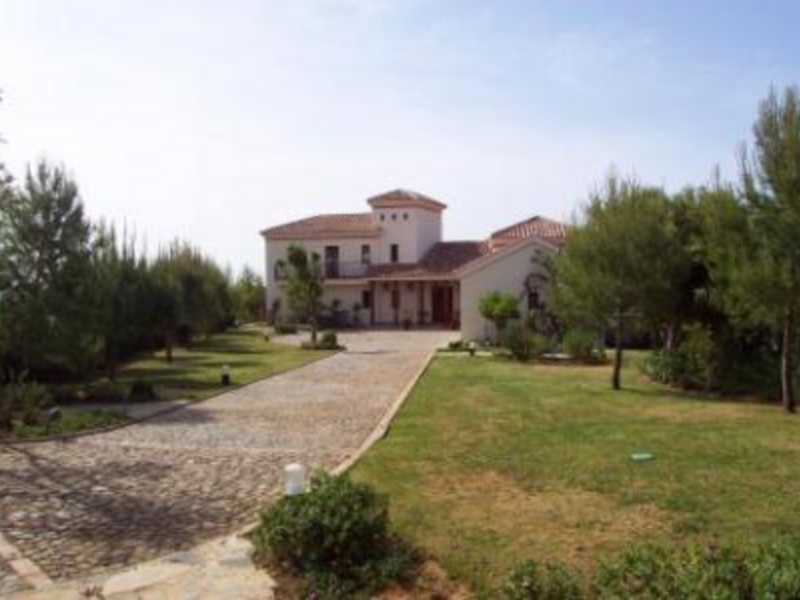 The villa is accessed by a large private drive leading to a cortijo style entrance with long wooden porch. The property offers a total of 4 bedrooms, 4 bathrooms, living room with fireplace and wooden beamed ceiling, dining room, fully fitted kitchen with central working plan, laundry room, south facing terrace, double garage, storage room and a guest toilet. The master bedroom is en suite and offers a dressing room, terrace, bath and separate shower in the bathroom. The villa is tiled in a combination of marble and terracota, fitted with central diesel heating on radiators for the ground floor, UFH on the 1st floor, A C hot & cold, central music system, alarm and satellite television. 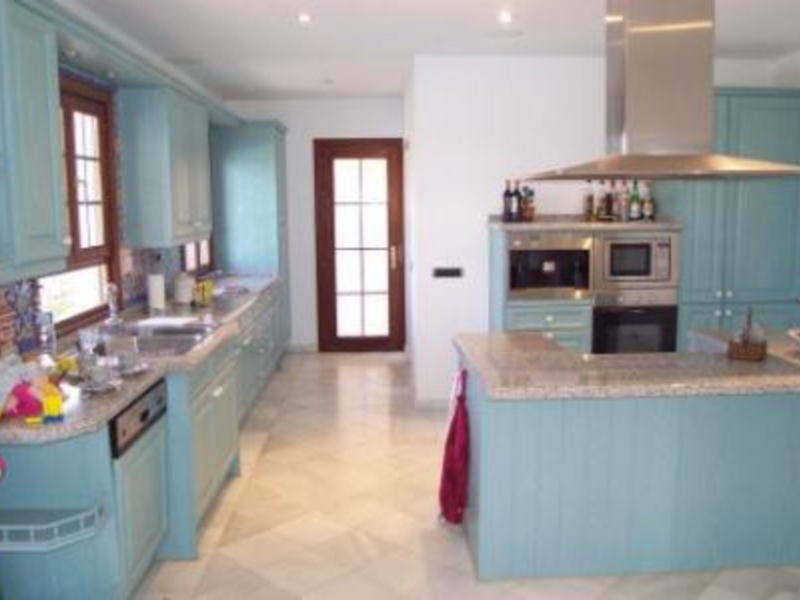 Finally the property is only 15 minutes away from Marbella, Puerto Banús, Benahavis or Estepona.